Rowing machines are one of the classic pieces of exercise equipment for a good workout. They suit a home gym pretty well and come in different styles and intensities. However, some people may be put off by the workout or confused by some of the parts. There are lots of great models out there to suit different consumers. You just need to know what to look for. The style of the rower. 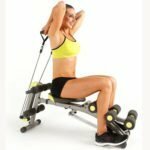 The style of the rowing exercise machine is important in order to make sure that you get the experience you need. For example, do you want a simple, beginner friendly machine for a morning session? No-thrills, accessible models with a few resistance settings are great for those that just want a light workout. This can help with gentle weight loss goals and rehabbing injury, without getting too technical. Alternatively, do you want a more high-tech machine that matches those that you would find in the gym? This is better for those that want to improve their training, specifically rowers that can’t get out on the water. This means higher intensity settings and better programming for a bigger challenge. 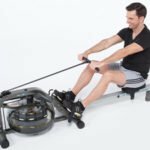 Another of the big questions to ask with the style of the rower is whether you want to go for a traditional rowing machine, with electronics and magnetic resistance, or a water rower. Water rowers are highly popular with many people because of the more laid back approach. Users can unplug from the mains and rely on natural water resistance to dictate the intensity of the session. This provide a more realistic effect for rowers that need to train. It is also more relaxing with the sound of the water against the tank. 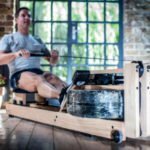 The problem for newcomers is that this really is quite far removed from the rower that they may have started with in the gym. They are also a little more expensive. The size and storage options. Whatever type of rower you choose, you need to make sure it is the right size for your workout space. 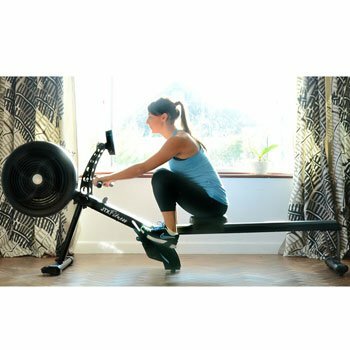 Compact, low profile rowing machine are ideal for apartment owners short on space. There are even models that fold up for easier storage options. Yet, you don’t want to go too small and find that there is isn’t enough room to move. Check the range of motion and length of the rail to be sure of an effective workout. The comfort of the machine. the comfort of the hand bar. A smooth rail is important in order to get that uninterrupted motion and steady repetition through the strokes. If it is uneven, or keeps sticking, it can put user off their stride. The padding on the seat is important too. Some have better cushioning and contouring than others. Then there is the grip on the bar. It can’t dig into the user’s fingers or get too slippery. 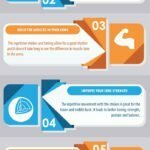 The final consideration with this rowing machine buying guide is the data provided during that workout. Some machines have better consoles than other, and some are more accurate. Remember that even though those water rowers are unplugged from the mains, most still have a battery powered console. The most basic of machines should still be able to offer enough data to help users progress. This typically means data on the strokes per minute, the overall length of the session and the distance travelled. 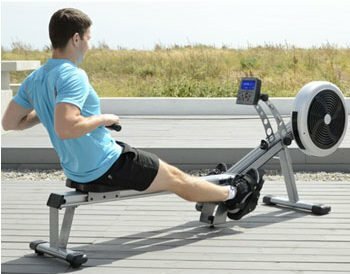 Choosing the best rower for your needs. Make sure to take the time to read user reviews and specifications carefully, whichever style and model you choose. The best rowing machines, as highlighted in this user’s guide, have a lot of important features. These should be mentioned in the descriptions so you can compare and contrast. However, user reviews are often better for understanding the comfort levels, ease of use and other hidden issues. Take the time to research carefully to find the right home rowing machine for you.